So, you want to be a writer. And you know you have to write in order to accomplish that. But there are always so many other things distracting us. Life happens. That pile of laundry won't wash itself (oh, that it could! ), dinner won't put itself on the stove, the kids can't pick themselves up from school (oh, that they could!). And then there's the internet - Facebook, Twitter, Pinterest, celebrity gossip, trip planning. You do have to be active on social media, right? One of the most motivating things for me is a contract LOL! You have to get the writing done then. Even with a deadline hanging over your head, thought, it's easy to find a thousand and one other things to do rather than write. 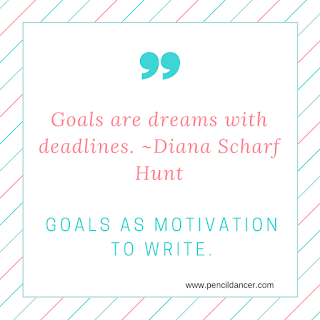 Goal setting is an awesome way to get and stay motivated. That little carrot dangling in front of your face to make you sit down at the computer and get some words on the page. At the beginning of the year, I plan out my writing schedule, as far as I know it at that point. I set aside months to write and edit my work. During those times, that's my main focus. It's what I have to get done. Reward yourself for meeting your goals. A new dress. A weekend away. A candy bar. Pizza and movie night. Whatever will make you stick with it. It's not just the months and year that I set goals for. It's also every week and every day. Scrivener has a great built-in tool for watching your word count grow. As you can see from this screen shot, you can set goals for your entire manuscript, your day, and even your scene. The little line that starts red and turns to green is highly motivating. It really makes you want to sit down and get to the end. If you don't use Scrivener, you can still watch your word count. I've used StoryToolz in the past, and it's great. You'll find lots of writer resources on that page. And I just found a new one called Pacemaker. With Pacemaker, you set the date you want to be done and your word count goal, and it will generate a daily goal for you. You can set it if you want a steady word count, a random one, one that starts off heavy and lightens as you go along, or one that does just the opposite. And of course, there's the perennial, all-important accountability partner. To have to report your progress to someone is very, very motivating. Plus, then you can celebrate together when you've met your goal. 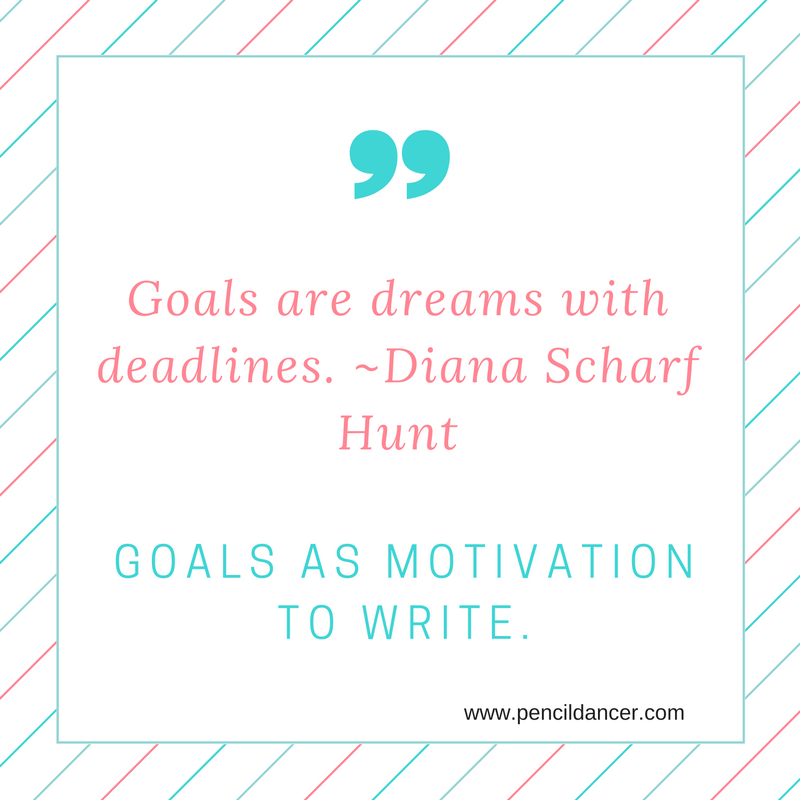 Do you goal plan? What motivates you to reach that goal?